Hand Weapon. 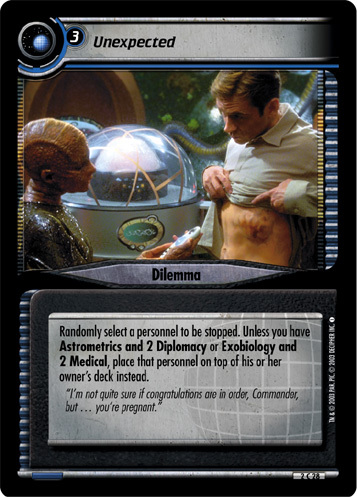 To play this equipment, you must command a Klingon. 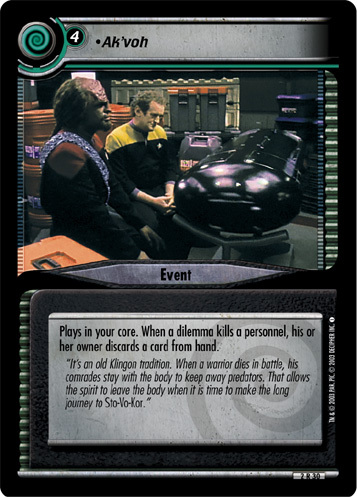 When you win combat involving your Klingon present, the loser discards a random card from hand. "I went into the mountains – all the way to the Volcano at Kri’stak. There I cut off a lock of my hair and thrust it into the river of molten rock that poured from the summit. … then I plunged it into the lake of Lusor and twisted it into this sword. 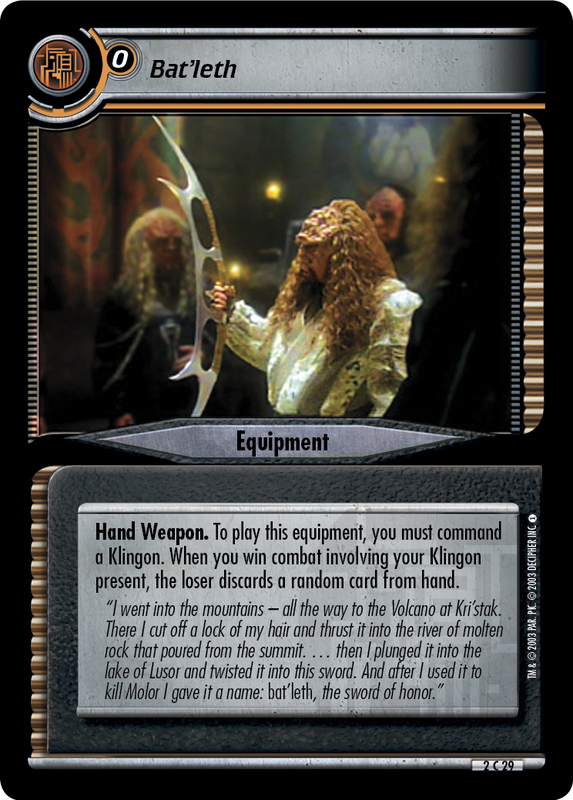 And after I used it to kill Molor I gave it a name: bat’leth, the sword of honor."